From a wife to her husband for their 10th wedding anniversary. 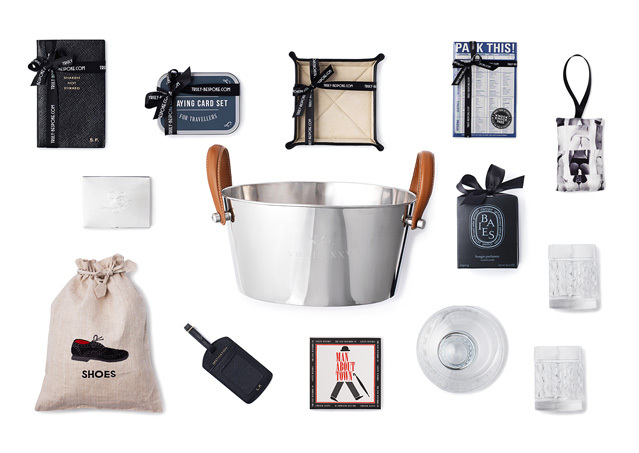 The brief: A stylish man hamper for a dapper traveler who works between Zurich, London and New York. Shoe lover, whiskey drinker, pill popper (the vitamin-kind! ), and fun-loving with a cheeky sense of humour.